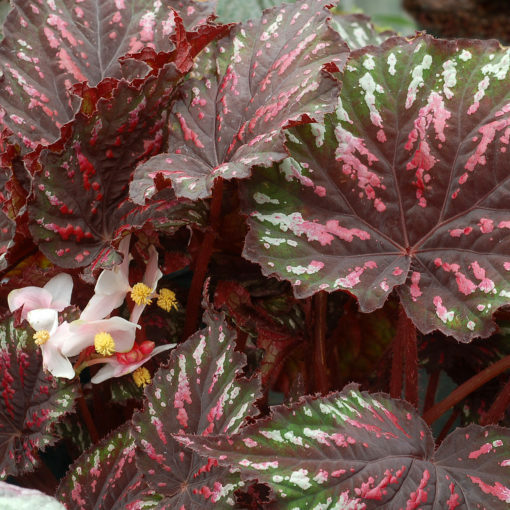 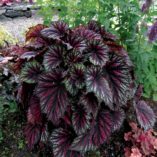 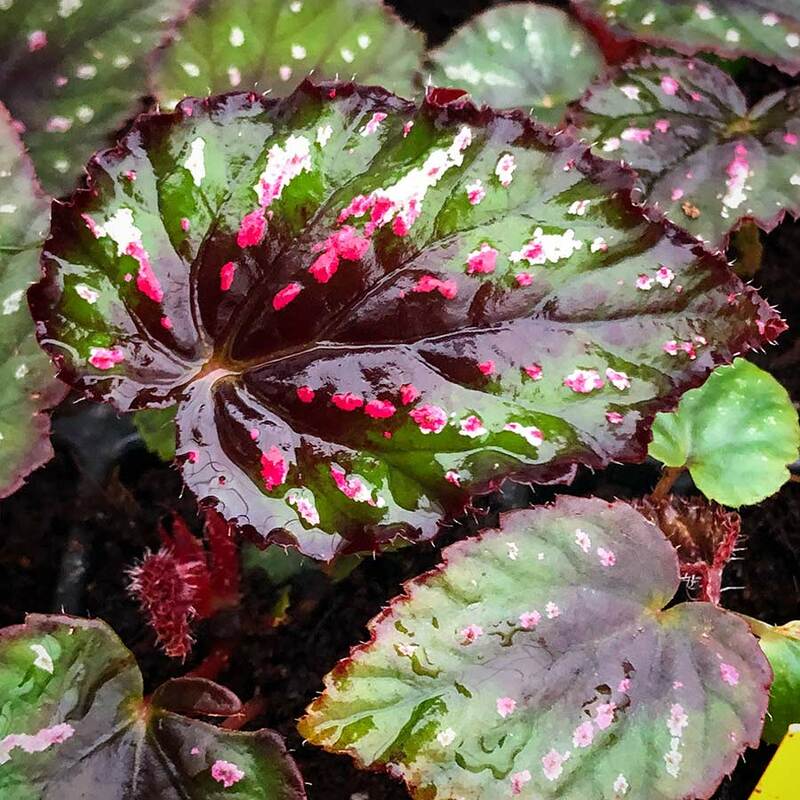 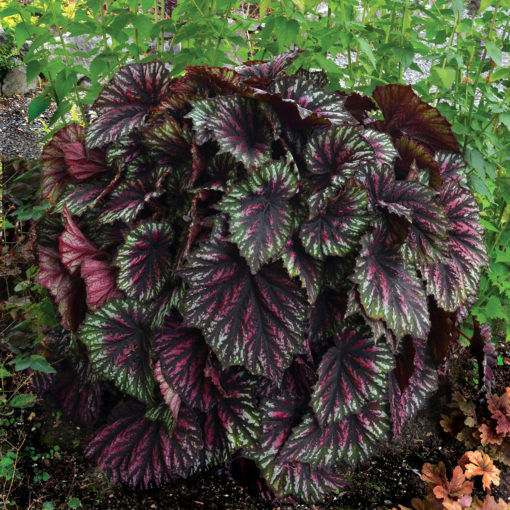 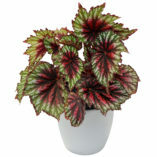 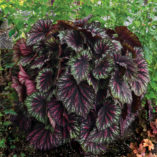 Begonia T REX™ ‘Painter’s Palette’ | TERRA NOVA® Nurseries, Inc.
With leaves shaped like an artist's palette, this hybrid is classy and understated. 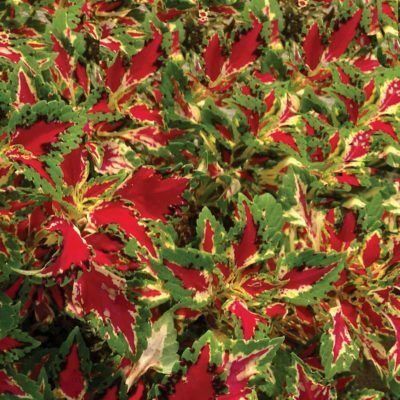 T REX™ 'Painter's Palette' has a red and green background washed with charcoal and black and liberally dotted with white at the edges. 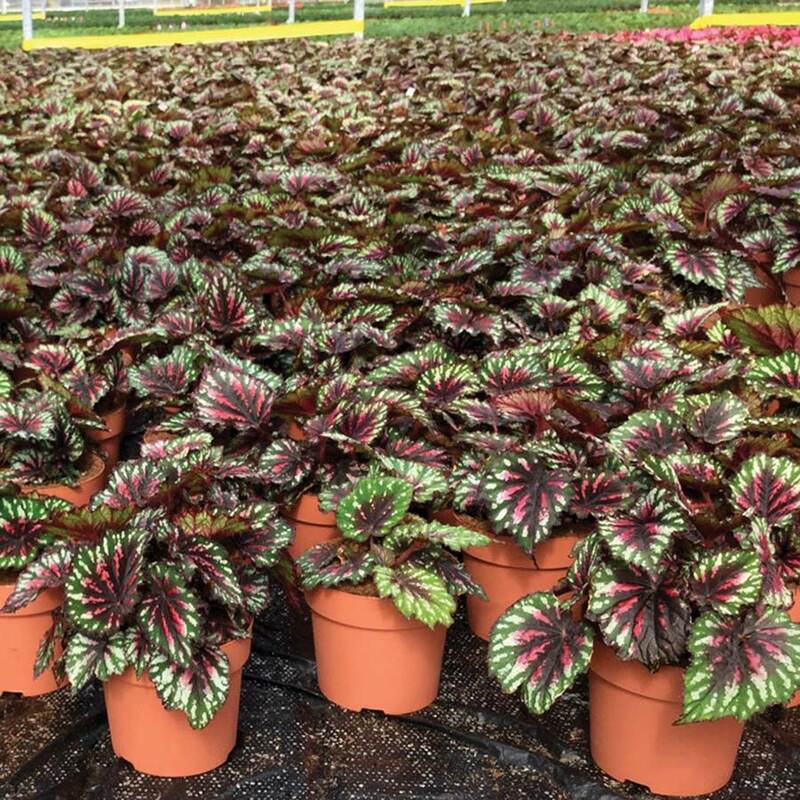 Economical to grow, tolerating cooler temperatures and keeping its foliage more than most Rex types. 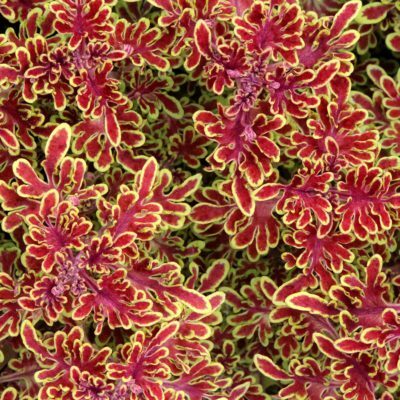 16" / 16" / 12"
'Painter's Palette has multicolored broad leaves, a bushy habit, pink flowers, and is cool temperature tolerant. 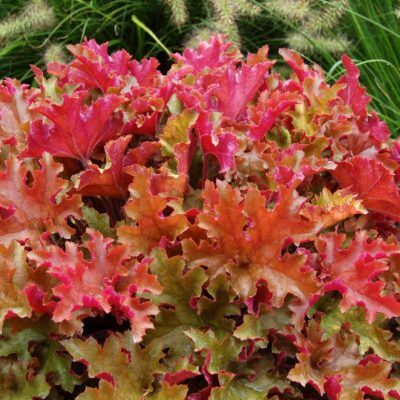 Compared to 'Salsa', the leaves are larger and hold their color better. It is a wonderful addition to the shade border in the warm season or to a mixed container. 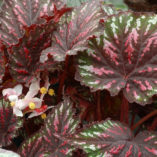 Rated highly in the Ohio State University 2012 trials. 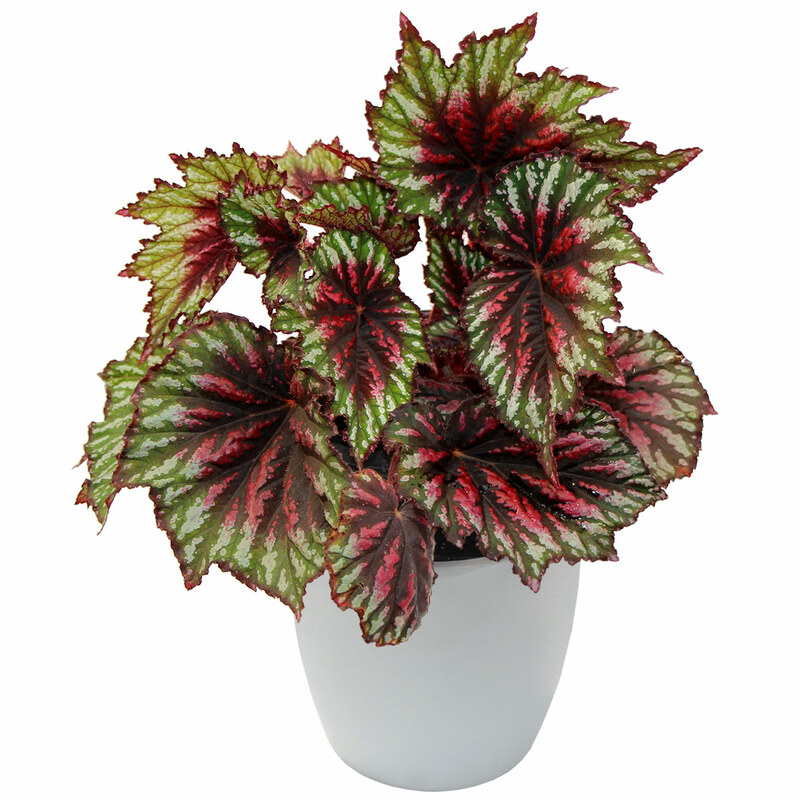 This series won Retailers' Choice Award at the Farwest Trade Show in Portland, Oregon in 2014. 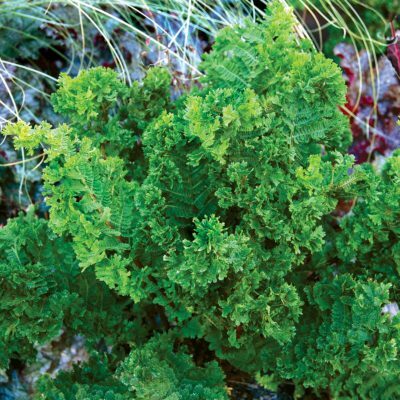 More cold tolerant than most. 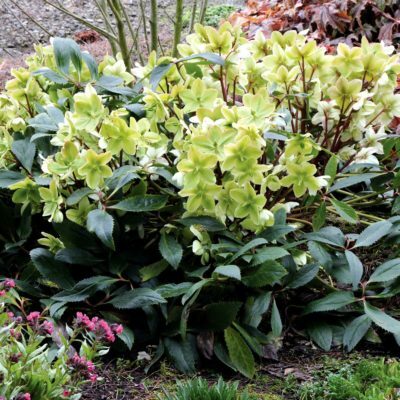 Survived 29° F under trees in Canby, Oregon. 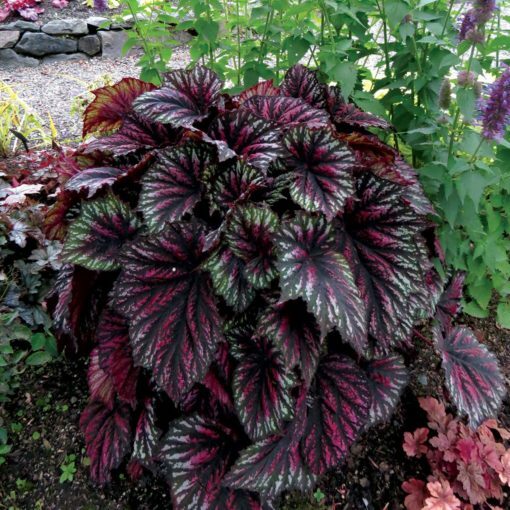 Has survived here in Canby, Oregon for 5 years in the ground, mulched.